Obverse Description: Highlights a bust of President George Washington. Reverse Description: Released on March 17, 2003, this is the 22nd coin released in 50 State Quarters Program and the second coin released in 2003. 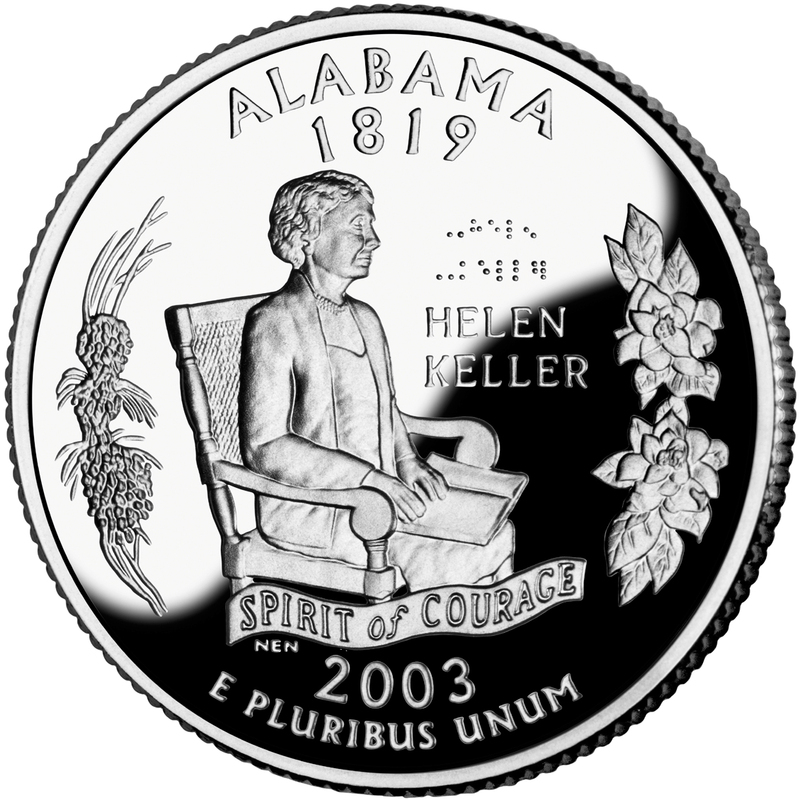 Alabama, who was admitted into the Union on December 14, 1819, themed the coin, Spirit of Courage. 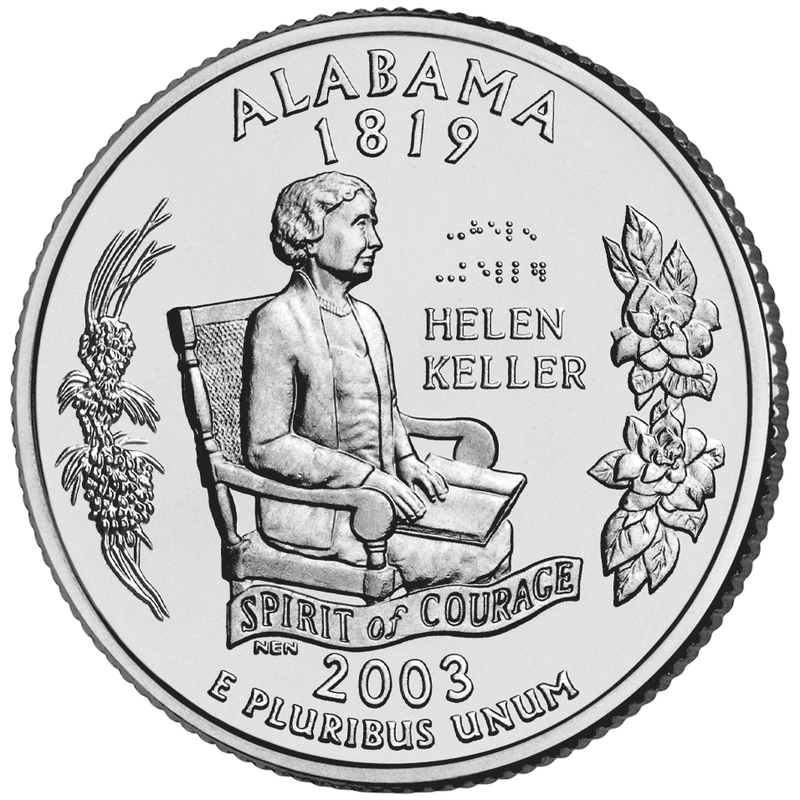 It highlights an image of Helen Keller with her name in English and in a reduced-size version of Braille, an Alabama long leaf pine branch wtih magnolias gracing the sides of the design, and the Spirit of Courage banner underlining the image. President William J. Clinton was in office when this legislation was signed. Three United States Mint Directors served under President Clinton's tenure; David J. Ryder of Idaho, Philip N. Diehl of Texas, and Jay W. Johnson of Wisconsin.